How would I go about booking Jodee as a speaker at my school? Please contact Jodee Blanco via phone at 312-961-3430 or by email at jodee@jodeeblanco.com. Jodee will be happy to answer any questions you may have regarding the It’s NOT Just Joking Around!™ anti-bullying program. What is the appropriate age group for Jodee’s INJJA student presentations? Jodee’s INJJA program is divided into age appropriate presentations as follows: k-4th; 6-8th; 9th-12th. Fifth graders can attend the elementary or middle school presentation. It’s up to the discretion of the school which presentation they feel would be better suited for their particular fifth grade class. 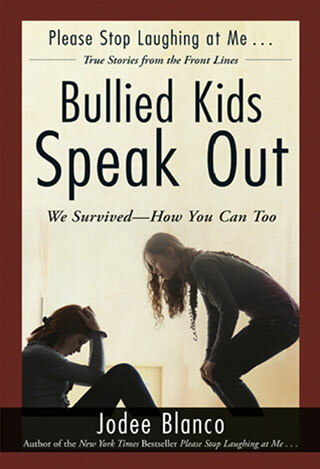 Some schools are already experiencing pronounced, sophisticated forms of bullying at the fifth grade level and would prefer their fifth graders receive a stronger, “big kid” approach. Others are more comfortable with their fifth graders attending the elementary school presentation, which communicates the same basic message, but more softly and simply. How long is a typical student presentation? k-4th grade is 45 minutes long. 6-8th grade is 90 minutes long. 9-12th grade is also ninety minutes long. I’ve read on your website that you’re going to be speaking at a school near my hometown; can I attend one of your presentations? 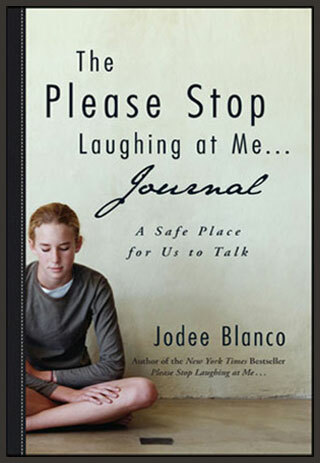 If a school is bringing Jodee in for her day long program, INJJA, is it necessary that the school’s principal and teachers read her books first? 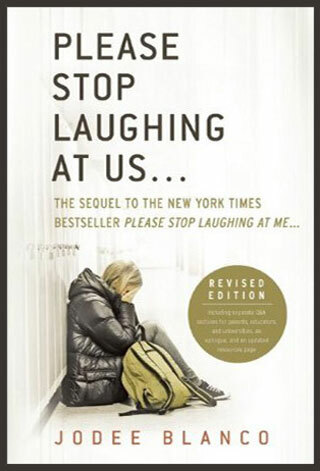 Although it isn’t required, we recommend that the administration and counselors at least read Jodee’s first book, Please Stop Laughing at Me…. to get a deeper understanding of her extraordinary experience and the wisdom gained.